After more than a yearlong search, Pacific Symphony music director Carl St.Clair named violinist Dennis Kim as the orchestra’s new concertmaster today. He replaces concertmaster Raymond Kobler, who retired in the summer of 2016 after 17 years in the position. Kim, a graduate of the Curtis Institute of Music and the Yale School of Music, will assume the Eleanor and Michael Gordon Concertmaster Chair in September, at the beginning of Pacific Symphony’s 40th anniversary. He has already been playing with the orchestra, however, appearing as concertmaster in its three performances at Soka Performing Arts Center this season. In concerts June 14-17, Kim will perform as concertmaster-designate in a program that features Richard Strauss’s “Ein Heldenleben,” a work with extensive violin solos. 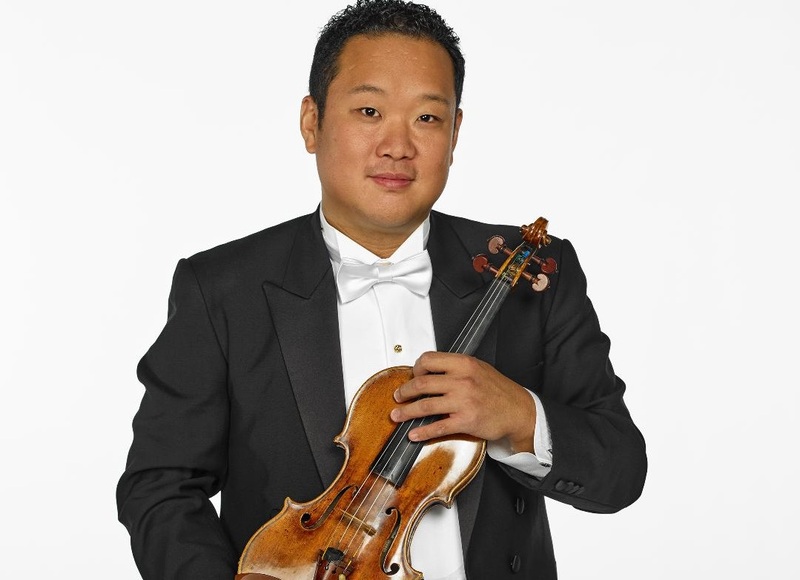 Born in 1975 in Korea, Kim is currently concertmaster of the Buffalo Philharmonic under music director JoAnn Falletta. He has also served as concertmaster of the Hong Kong Philharmonic, the Seoul Philharmonic and the Tampere Philharmonic (in Finland). Additionally, Kim has performed as a guest concertmaster with a number of orchestras, including the BBC Symphony Orchestra, the London Philharmonic, the Royal Stockholm Philharmonic and Helsinki Philharmonic among others. Kim’s teachers have included Jaime Laredo, Aaron Rosand and Peter Oundjian. He plays a violin with a distinguished pedigree, the 1701 “ex-Dushkin” Stradivarius, once owned by the violinist and Stravinsky collaborator Samuel Dushkin. This entry was posted in classical music, news and tagged concertmaster, Richard Strauss, Stradivarius, violin by pacificsymphony. Bookmark the permalink.